A makeshift film screen blows in the desert wind in Jordan’s Wadi Rum, long a cinematic setting for international films (notably Lawrence of Arabia), where this spring Jordanian filmmakers and local Bedouin actors gathered to view one of Jordan’s newest films, director Naji Abu Nowar’s Theeb—another film influenced by pioneer filmmaker and cinema-workshop developer Nadine Toukan, below right. “Nadine is the reason I’m sitting here today,” said Abu Nowar. Until 2008, Jordan had produced only one truly home-grown feature film. It was Egypt that blazed the trail for Arab cinema, followed by Morocco, Algeria and several other countries. Cairo’s film industry in the 1940s, ’50s and ’60s was prolific, and many productions from that time are recognized as classics. But those decades of dominance, in which Egyptian visual culture was ubiquitous across the Arab world, helped suppress the development of film production elsewhere. Jordan’s first movie, Siraa fi Jarash (Struggle in Jarash), was released in 1957. Independently financed by a group of friends, one of whom, Wasif Alsheikh, was also the director, it has been described as part gangster flick, part tourist documentary. Scenes of rather wooden dialogue come interspersed, unusually for a drama, with location shoots showcasing Jordan’s natural and historical attractions. But the breakthrough wasn’t sustained. For more than half a century, foreign directors shot in Jordan, most notably David Lean (Lawrence of Arabia, 1962) and Steven Spielberg (Indiana Jones and the Last Crusade, 1989). 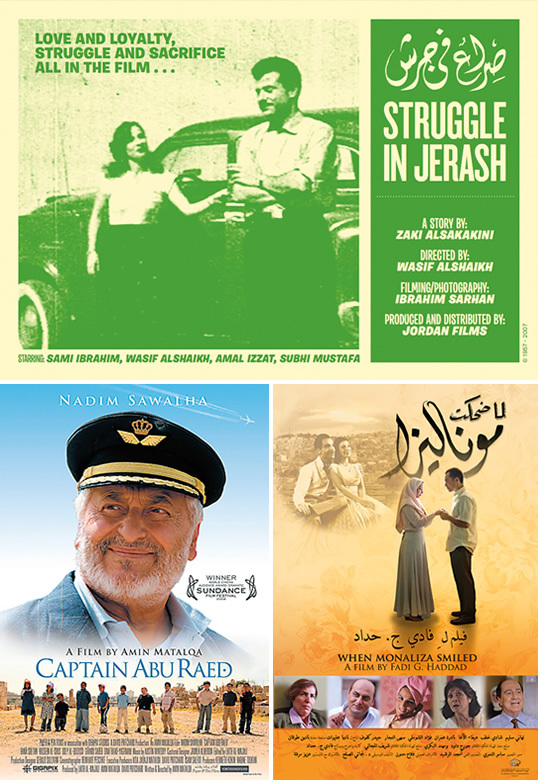 A handful of Arab films during that time had Jordanian connections, but there was scant institutional support for aspiring Jordanian filmmakers. That is, until a serendipitous chain of events about a decade ago brought Nadine Toukan back to her hometown, Jordan’s capital, Amman. In one of the bright salad-and-smoothies cafés popular in Amman’s upscale neighborhoods, the soft-spoken, 40-something Toukan pauses for thought before answering my question about her career. “I like to see myself as a creator, a connector of dots,” she says. Credited as producer or executive producer on many of the movies that have flowed out of Jordan in the last 10 years, Toukan began her career in advertising. She changed direction in the 1990s to help establish Jordan’s first dot-com success, a news and entertainment portal for the early web called Arabia Online. But even after relocating to cutting-edge Dubai during the dot-com boom of 2000 and 2001, she knew that her heart lay elsewhere. “I realized I wanted to roll up my sleeves and [work] instead of observing and commenting. That’s how I think of myself—as a contributor to the creation of possibilities. I wanted reach,” she says. Forty-eight years after it premiered, Jordan’s first feature film, Struggle in Jerash, stood almost alone when Nadine Toukan founded the Sundance Middle East screenwriters lab in 2005 and launched the new Royal Film Commission’s program to develop local filmmaking talent. Three years later, Amin Matalqa released the critically acclaimed Captain Abu Raed; Fadi Haddad’s When Monaliza Smiled came in 2012. Back in Amman, creating content for the web dovetailed neatly into creating content for the screen. Toukan discussed making a documentary about the tribes of Petra with noted Jordanian anthropologist Rami Sajdi. They developed a proposal, only to meet a wall of skepticism from television and film-production companies. “Everybody said: ‘Oh, who cares? You’ll never get it made.’ That, for me, was fascinating,” Toukan says. Some might have capitulated. Others more confrontational might have raised a fight. But this playful, quietly steely character began searching for another way. Her restlessness coincided with planning by the Jordanian government to create the Royal Film Commission (rfc), partly to entice foreign productions to the country, but also to foster the development of a homegrown cinema industry. Toukan was invited to head the rfc’s program to identify and develop local talent. She knew she would be starting from scratch. One of her first initiatives was to forge links with the Sundance Institute, a us nonprofit founded by Robert Redford to nurture filmmaking talent. 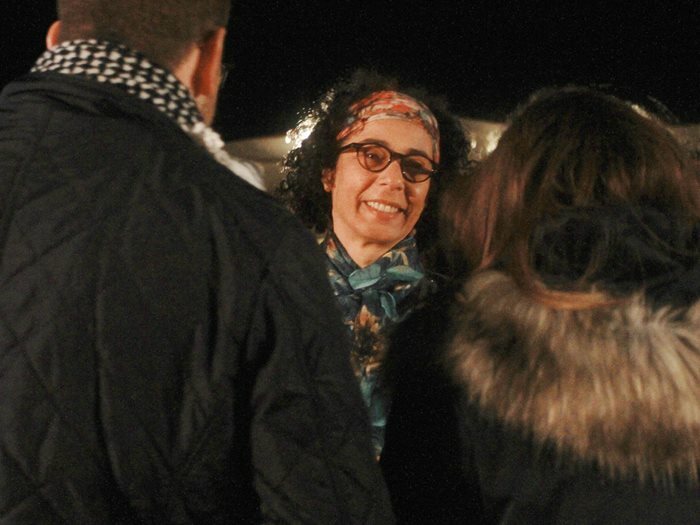 In 2005 Toukan helped bring Sundance’s screenwriting lab—at which mentors and filmmakers are corralled together in a retreat to refine ideas—to Jordan. 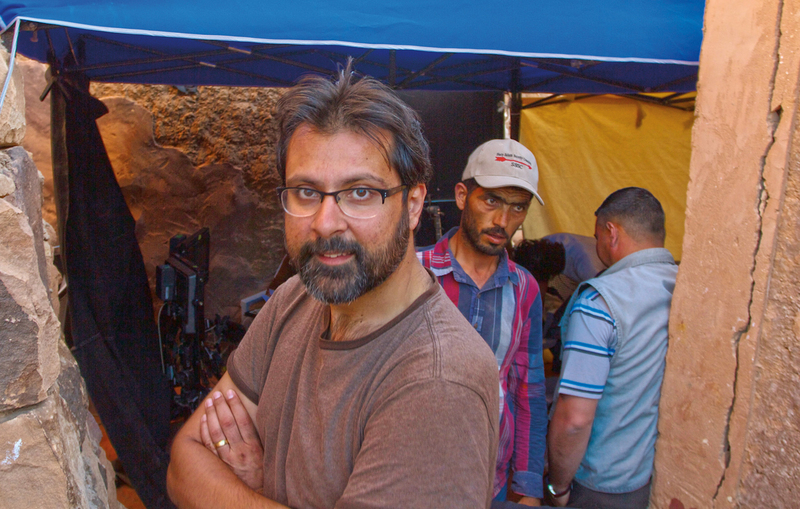 “I was in England when my sister told me about the Royal Film Commission, and that a colleague of hers, Nadine Toukan, was [involved],” Jordanian director Naji Abu Nowar recalls when we meet on the breezy balcony of a film-production company in Amman. The lab became an annual event, and this year it celebrates its 10th anniversary in Jordan. Abu Nowar can pinpoint a number of leading filmmakers who have benefited from its influence, including first-year participants Cherien Dabis, Sameh Zoabi and Najwa Najjar. “They all went through” the lab, he says. 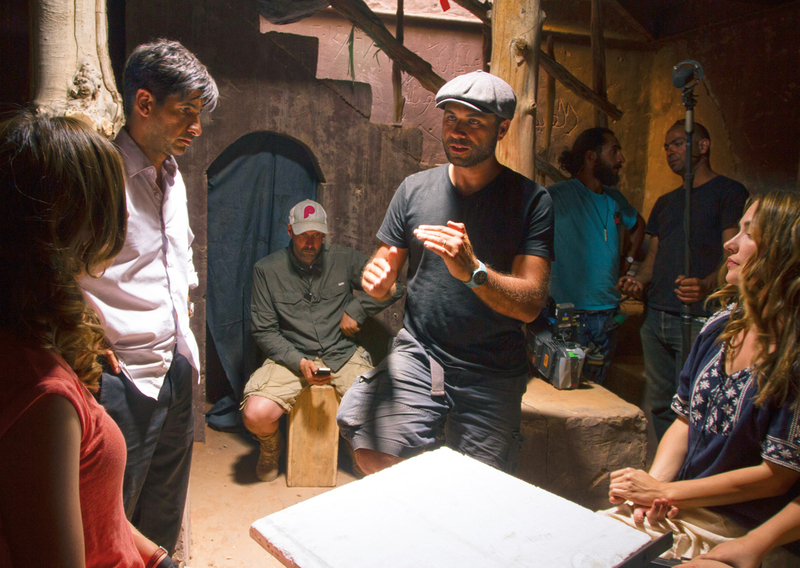 On the set of The Rendezvous, Jordanian-born director Amin Matalqa works with actors (from left) Stana Katic, Raza Jaffrey and Meg Cionni. As the rfc began to draw international directors to Jordan, including Brian de Palma (Redacted), Nick Broomfield (Battle for Haditha) and Kathryn Bigelow (The Hurt Locker), it also launched a cooperative effort with the University of Southern California in Los Angeles to establish the Red Sea Institute of Cinematic Arts, or rsica, which offered the only master’s-degree program in film in the Middle East. Toukan, though, was feeling the constraints of working in a public-sector institution. She left the rfc to face head-on the wall of skepticism inhibiting support for local filmmaking. She met a California-based Jordanian filmmaker, Amin Matalqa, who showed her a script he was developing with a friend, Laith Majali. To Toukan, it looked promising. She began pitching to potential business backers in Jordan and gathering support from the scriptwriters’ contacts in Los Angeles. Top: Cionni on the camera’s screen during a scene; above, Matalqa reacts to the take. The result was Captain Abu Raed, released in 2008 to critical acclaim. Directed by Matalqa, it’s a moving story about an elderly man working as a janitor in the Amman airport whose life becomes entangled with those of local children. As well as winning several international awards, Captain Abu Raed marked Jordan’s emergence as a contemporary filmmaking nation. “Why did it take so long?” asks Toukan. “Permission,” she says with a smile. And this time, it wasn’t a one-off. With institutional recognition and, perhaps more importantly, growing informal support networks, other Jordanian filmmakers followed Captain Abu Raed’s lead. Notable among them were Mahmoud Al Massad, whose gritty urban documentary Recycle (2008) garnered international attention, and Mohammed Al Hushki, who made Transit Cities (2009) about a woman who returns to Amman after 17 years abroad to find her family and the city changed. Transit Cities took home two prizes at the Dubai International Film Festival. Toukan’s goal of creating a viable, skilled, experienced Jordanian film community was coming closer—aided by a film fund administered by the rfc that was extending vital support to local writers and directors , as well as backing by individuals such as the late Ali Maher, an rfc commissioner and advocate of the creative arts. Fadi Haddad explains how he approached Toukan in 2010, at his graduation from rsica, with an idea he’d developed with fellow student Nadia Eliewat. This time, the result was When Monaliza Smiled, a romantic comedy about an unlikely relationship between a dour Jordanian office worker and a cheery Egyptian teaboy. Shot in Amman and released in 2012, it was a hit across the region. 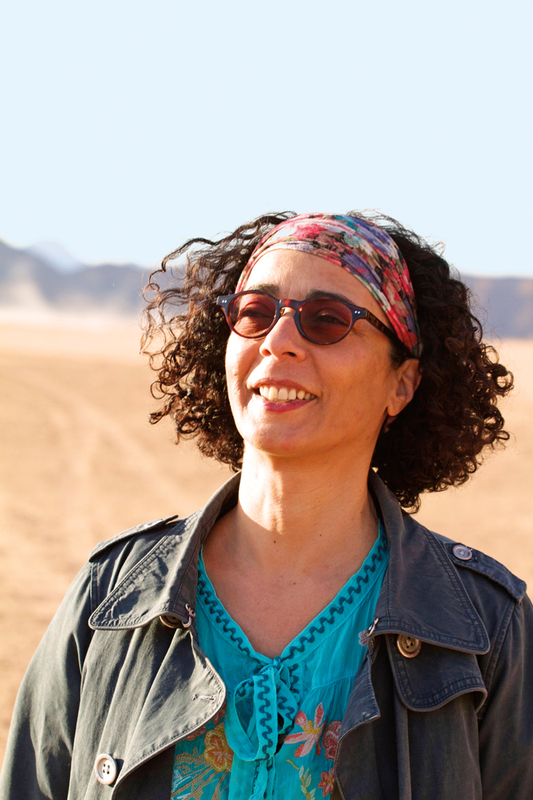 “I don’t think [the film] would have happened without Nadine,” says Haddad, Monaliza’s director, who now teaches film at the American University in Dubai. Mohammed Al Hushki’s Transit Cities (2009), top-left, took two prizes at the Dubai International Film Festival. Naji Abu Nowar’s Theeb (Wolf), released last year, was notable for its collaboration with local Bedouin actors, silhouetted, above, during a screening at Wadi Rum. Razzaz notes that establishing a Jordanian film industry doesn’t just have a cultural impact. “From a strictly economic perspective, the value-added of the cinema industry is huge, because you have so many linkages to it—music, design, fashion, tourism, culture. You can market a whole country through what you produce [on screen],” he says. Jordan’s royal family has long had an intimate connection with screen entertainment. King Abdullah’s parents met on the set of Lawrence of Arabia, and the king himself even had a nonspeaking role in one episode of the television series Star Trek: Voyager. But Toukan, nurturing intense drive beneath her mild, cheerful exterior, is impatient with a filmmaking model that depends on royal or state patronage. For her next project, she broke that mold by successfully pitching for funding from a range of local, private-sector business sources. 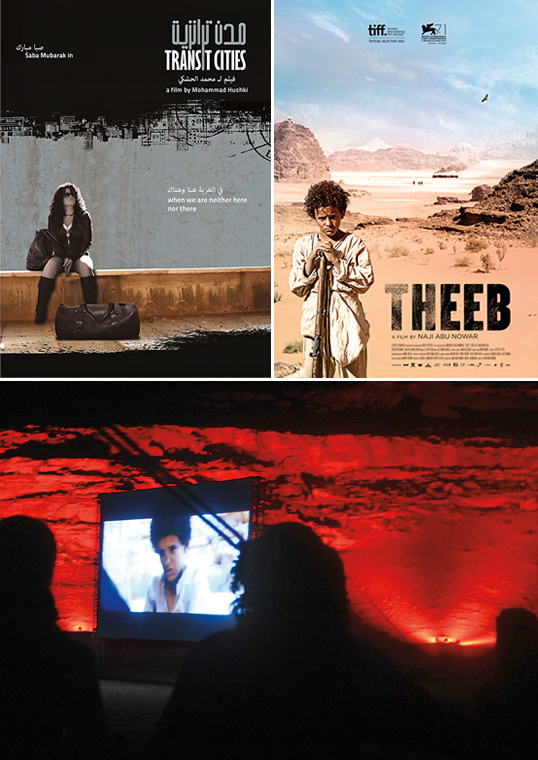 The kafd also became a key financial backer for Theeb (2014), directed by Toukan mentee Abu Nowar. Ossama Bawardi produced Salt of This Sea in 2008 and When I Saw You in 2012. “Nadine is someone who has earned her stripes,” says Razzaz, calling her “very driven, very creative” and very dependable. “That’s comforting, to know you’re talking to a person that [isn’t] going to drop this next year. This social return can also be seen on the film set. 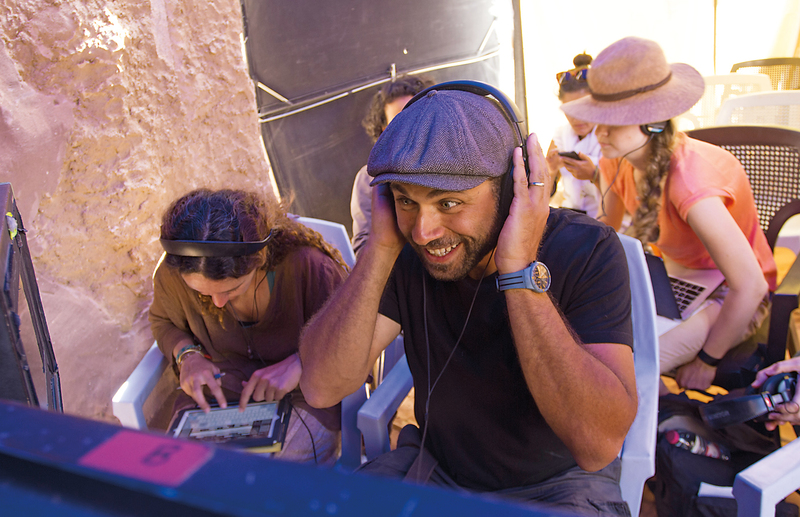 In 2006 crews filming in Jordan were less than one-third Jordanian. By 2014 two films—Rosewater, directed by American talk-show host Jon Stewart, and Kajaki, directed by Britain’s Paul Katis—had been shot in Jordan with 70-80 percent Jordanian crews. 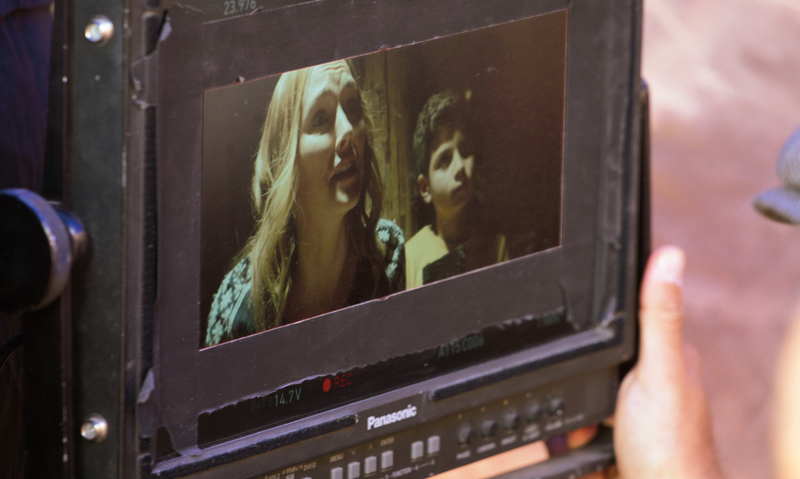 From set construction to costume design, film is expanding the nation’s skills base. Bassel Ghandour got his break on Captain Abu Raed, where he was Toukan’s production assistant. He then secured a position on The Hurt Locker and parlayed that experience into co-writing Theeb. Now he runs his own production company in Amman. 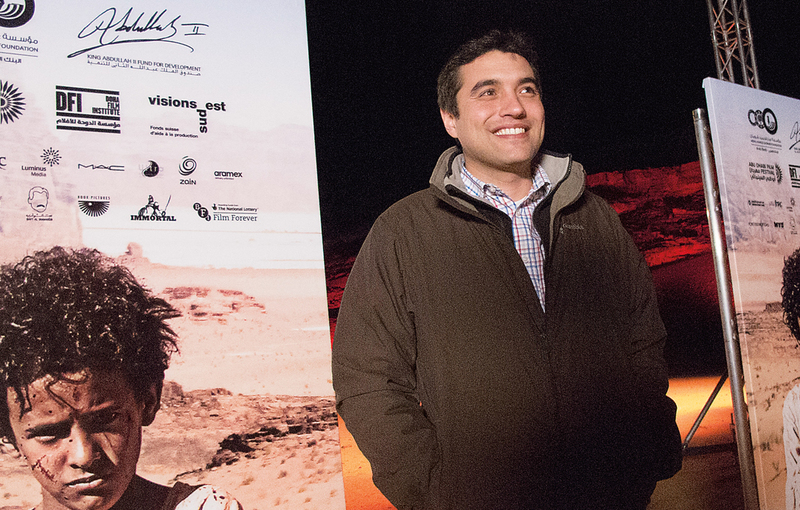 Naji Abu Nowar at the Wadi Rum screening of Theeb. “To help nurture a system that had people who really knew nothing—all they had was ambition to work in film—that really takes vision,” he says of Toukan. There have been, and remain, obstacles: rsica has folded, and no Jordanian movie has yet turned a profit. But Theeb is well on the way to that breakthrough, having capitalized on its festival successes to secure 2015 general releases in the uk and the us, cinema’s two biggest and most important markets. The wider benefits excite many. “I absolutely see a return in intangible ways,” says Saad Mouasher, vice-chairman of Jordan Ahli Bank. One of Theeb’s financial backers, he voices full-throated support for Toukan’s work in the industry. Top: Bedouin actors greet each other at the screening of Theeb while Toukan, above, greets viewers. She remains committed to breaking molds and opening more creative pathways for Jordan—and Jordanians.